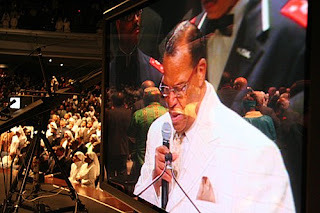 Brother Jesse Blog: Watch Minister Farrakhan's 2009 Saviours' Day Keynote Now Online! Watch Minister Farrakhan's 2009 Saviours' Day Keynote Now Online! The Final Call News Web Media Staff has launched a brand new on-demand website to archive some of the latest and greatest messages by the Honorable Minister Louis Farrakhan. For those that missed the message, you can now watch his 2009 Saviours' Day Keynote Address and others too!